James Hay was baptised on the 5th September 1736 in the village of Tomintoul, parish of Kirkmichael in the county of Banffshire (also known as Banff). James was the son of Lewis Hay and Margaret Watson. His parents were both from the county of Banffshire. James siblings were Barbara (1732) , William (1735), Alexander (1735) and Margaret (1741). James aged 25 married Anne Riach aged 20, another native of Banffshire in the parish of Kirkmichael on the 8th December 1761. Their children were a baby girl born on the 17th October 1762 who died the same day. Two years later Isobel Elizabeth Hay was born in 1764, John Hay born 1766, Nathaniel Hay born 1769, William Hay born 1771, Robert Hay born 1774, James Hay born 1780 and Barbara Hay born 1785. Anne Riach was born on the 27th May 1741 to John Riach (b.1711) and Janet or Jean Stuart or Stewart (b. 1709) also of Kirkmichael. Kirkmichael was at the time of James and Anne both the town and name of the greater parish of Banffshire County – containing the highest elevated village in Scotland the village of Tomintoul. Banffshire’s total length being the grand stretch of just over 40 miles. Mountainous ranges roll into hills and moors that undulate down to the coast. Valleys throughout this ancient land sit alongside the river Aven which has run from Loch Aven through the land for untold millennia. A feature of Banff has long been it’s clear and crystal waters flowing throughout the region in it’s many rivers and tributaries. Sitting wedged into the Scottish highlands the parish area of Kirkmichael, for many generations remained a deeply religious area with a staunch cohort of Catholic inhabitants. Along the coastal towns thriving fishing communities provided lucrative employment for many of Banffshire’s inhabitants. Agriculture and farming also made up a significant contingent of the areas considerable wealth. Banffshire has been home to many well known distilleries over time and once had the title of malt-whiskey capital of the world. . Likewise it is a county characterised by it’s many churches and castles both in ruins and those that remain to colour the landscape. The formal layout of the township of Tomintoul happened in 1776 when it was designed and laid out by the Duke of Gordon. The village previously had been a collection of turf huts on modest farms (such as James and Anne would have lived in). Tomintoul had sat on the line of an old military road that had been built during the 1745 Jacobite rebellion. During this Jacobite rebellion (James would have only been a boy of 9 or so) a small garrison had been posted in Timontoul to suppress the rebels and capture and arrest reviers (cattle thieves) who were known to cross the Aven here with their heisted beasts. As to where and if and how James and his forbears fitted into the Clan Hay I cannot bear witness. What I can say is that Banffshire, Morayshire, Nairnshire and Perthshire all incorporated the traditional lands of Clan Hay. 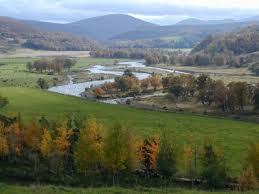 Equally these lands of Banffshire and Perthshire were the homelands of our branch of Hay’s. So it is highly likely that our Hay’s were a part of this Clan. Bearing in mind that the clan family incorporated not only the leaders and their families of the clan but usually their extended family and bannermen and their families and those living in the nearby villages and settlements who would often take on the name of the clan to whom they were attached. 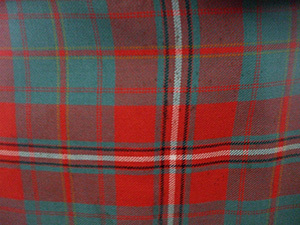 Following the defeat of the Jacobites at Culloden in Inverness; In 1746 the unpopular pacification act was enacted and banned the wearing of tartan. This was one of the many efforts by the British to bring the Scottish clans further under British rule and to break down the power of the clans. These laws were not repealed until after the death of James in 1782. Anne is recorded on the Perth, Scotland survey of inhabitants as being an ‘in-dweller’ of Perth. (Meaning a resident). In this census there were 7,542 persons inhabiting Perth. It is 81 miles between Tomintoul and Perth. A move from the highlands proper into what is often known as ‘the gateway to the highlands would have been a considerable distance. The actual village of Kirkmichael where I suspect the Hay’s had moved to was around 27 miles from Perth. Even still, it was not a common thing for farming families or labourers to move longer distances. Why the Hay’s did? At this time I’m still trying to place them. The only reason I can come up with that would fit within that time of history would be that maybe as part of the highland clearances? Maybe they had to move to a city for work or employment? In 1773 at the age of 37 James is recorded on the Perth Scotland Survey of Inhabitants as being a resident of Perth and I am fairly sure it states on the record “Mealler”. A mealler, or mailler, paid farm rent in money or kind, not in labour provided. James dies aged 59 in Kirkmichael, Banffshire, Scotland in 1795. Possibly in Broomtown. To date I have only the briefest of information on this branch of the family and as yet don’t know when Anne Riach died. I am a direct line descendant of James and Ann through their son, John. I am especially interested in finding out the parents of Lewis Hay.